Researchers from the University of Southampton have shown that cartoons could be a beneficial way of educating patients and empowering them to cope better with their long term conditions. 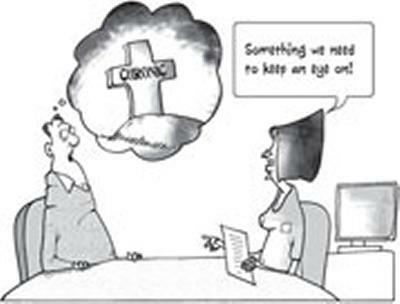 Cartoons are already used in patient information but the content is sourced from health professionals rather than directly from patient experience, a unique aspect of the Southampton study. Published in the Health Services Research journal, the study was carried out under the auspices of National Institute for Health Research Collaboration for Leadership in Applied Health Research and Care (NIHR CLAHRC) Wessex and Greater Manchester. Researchers used patient feedback to create a series of cartoons which demonstrated common experiences, problems and anxieties. The cartoons were incorporated into a guidebook given to patients who have chronic kidney disease. These patients were asked their opinion on the use of cartoons and humour in regular patient information and then asked to evaluate the cartoons drawn for the guidebook. Results showed a range of feelings towards the cartoons including amusement, recognition, hostility and incentives to action. Overall patients found the cartoons useful in lightening the tone of information and gave patients insight and understanding they had not had before. Dr Kennedy says health professionals could use the cartoon approach to help their patients engage more in the management of their own conditions.